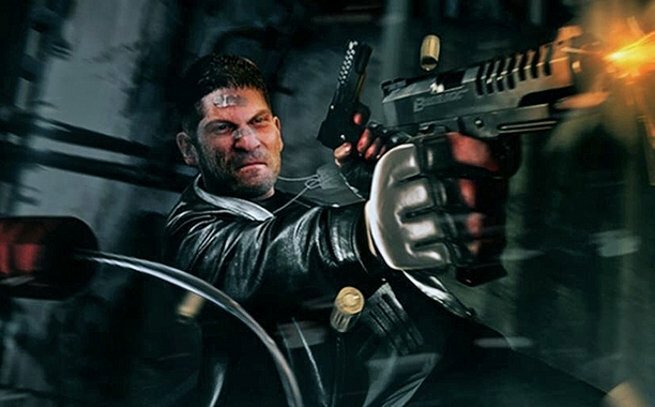 Perhaps in fear that it could overshadow the release of The Defenders, Marvel and Netflix have been awfully quiet about their upcoming Punisher spinoff starring Jon Bernthal. That all looks set to change next weekend, though, when movie fans and pro cosplayers descend on San Diego Comic-Con in their droves. All of the industry’s big guns will be in attendance – Marvel, DC, Syfy, Fox, and many more – and after serving up the latest piece of color-coded concept art for The Defenders (feast your eyes on Netflix’s fantastic four here), Entertainment Weekly has peeled back the curtain on the new, downright haunting poster for The Punisher. Front and center is Jon Bernthal’s Frank Castle. Armed to the teeth and sporting that iconic white skull body armor, one that was glimpsed at the tail-end of Daredevil season 2, Castle is a force to be reckoned with here, and we can only imagine what kind of punishment is in store for those goons who dare cross him. 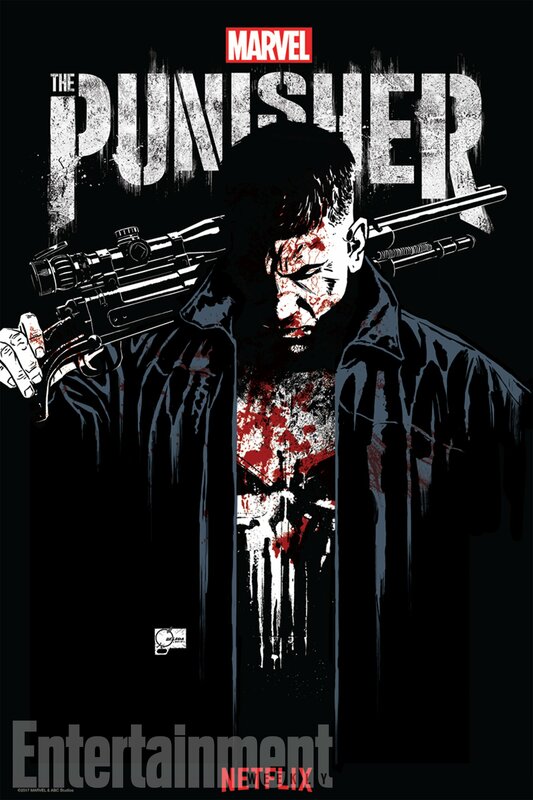 Similar to The Defenders piece, if you happen to be attending SDCC next weekend, this Punisher one-sheet – a one-sheet drawn up by Marvel Entertainment Chief Creative Office Joe Quesada – will be distributed on Friday, July 21st, at 3:30 pm PT at the Marvel Booth. Also starring Deborah Ann Woll (Karen Page), The Punisher stays true to tradition in that the Netflix spinoff is comprised of 13 episodes in total, and if those rumors doing the rounds are to be believed, Frank Castle may swing by for a cameo role in The Defenders after all. Chalk that up as conjecture for now, but the fact that Jon Bernthal is listed to appear on the show’s panel has fuelled speculation that a crossover is on the cards – either that, or the actor will simply be in attendance to promote The Punisher ahead of its release in November. Both Marvel series are set to enjoy a fairly big presence at SDCC next weekend, so keep your peepers peeled for more.